The Russian faithful in Turkey no longer have churches where to go to pray because there are only churches of the "schismatic patriarchate". In Ukraine, the Tomos of autocephaly is expected by the end of November. The Ukrainian president backs Simeon as the new patriarch. Moscow (AsiaNews) - There is an urgent need to send Russian Orthodox priests to Turkey for pastoral service to the Russian faithful. In fact, after the schism, believers are unable to attend the churches of the ecumenical patriarchate. This was announced by Metropolitan Ilarion (Alfeev), saying that "we have no other choice". 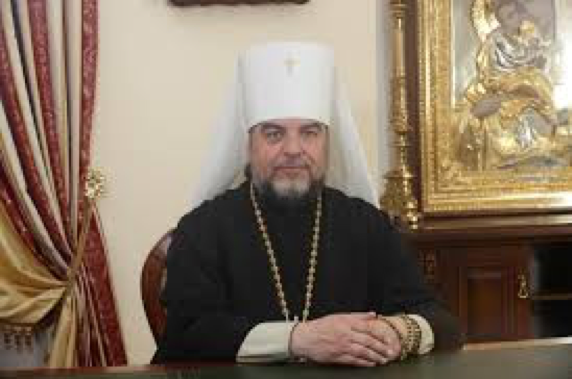 Speaking on the "The Church and the World" program on the Russia-24 television channel, on November 10, he assured that after the rupture between Moscow and Constantinople they have received "numerous letters" from Russian faithful living in Turkey. Ilarion recalled that there are no more than 2,000 faithful of the patriarchate of Constantinople in Turkey. At present, the Russians in the country number tens of thousands and they "no longer have a church to go to pray, because in Turkey there are only churches of the schismatic patriarchate". He said that in the past the patriarchate of Moscow had repeatedly proposed sending Russian priests to Turkey, but Constantinople had always refused. Now the pastors sent to Turkey will try to organize themselves according to the various places, without worrying about "invading" the structures of the competing patriarchy. To date, the first Russian "missionary" in Istanbul is the Father Georgij Sergeev, who has forty years of ecclesiastical diplomatic training and is very close to the patriarch Kirill (Gundjaev). Georgij celebrated at the Russian Consulate General in Istanbul, with the support of Consul Andrej Podjolishev, and took office as parish priest of the church dedicated to the emperors Constantine and Helena on the territory of the consulate. The church was consecrated in 2009 during Patriarch Kirill's first visit to the Turkish capital together with the Patriarch Bartholomew (Archontonis). Meanwhile, the timeline for the definitive proclamation of Ukrainian autocephaly has yet to be announced. The Ukrainian leadership, and the president Petro Poroshenko have announced an imminent meeting of the local council delegate to elect the new primate of the autocephalous Church in Ukraine, confiding that they hope to receive the long-awaited Tomos from Constantinople by the end of the year. In Poroshenko's intentions, the council should be held by the end of November. Meanwhile, on November 13, he sought to meet with the bishops of the Ukrainian Orthodox Church dependent on Moscow gathered in the local Synod, to convince them as much as possible to move to the new autocephalous Church. The meeting apparently failed due to a misunderstanding about the meeting place: the bishops were gathered at the Lavra of the Kiev Caves, while the president invited them to the building of the "Ukrainian House", where in the end only three prelates turned up and left without making any statement. In the meantime, the Synod officially aligned itself with the positions of Moscow, interrupting the Eucharistic relations with the patriarchate of Constantinople. As for the bishops of the other two Ukrainian jurisdictions, reportedly an agreement mediated by the President has been reached whereby the two current leaders (Filaret Denisenko and Makarij Maletič) would have already agreed to step aside, to favor the election of a new "autocephalous" primate, patriarch or not. Poroshenko would also have already identified the new leader to be elected in the metropolitan Simeon (Shostatsky) of Vinnitsa and Bar (see photo), one of the three present at the meeting at the "Ukraine House", of Moscow jurisdiction, but in favor of new independent Church. Simeon would be quite independent of Filaret (who added the title of Archimandrite to the self-assigned title of Patriarch, as a function of the new reform) and the same Patriarch Bartholomew of Constantinople, but decidedly close to Poroshenko himself. With the "guided" appointment of Simeon, the president intends to begin the work of "extradition" of the bishops formally loyal to Moscow, but in reality favorable or not refractory to autocephaly, taking them by the hand and overcoming their fears and resistance. This would happen using the stick and the carrot: threatening the refractories with being accused of being "enemies of the Ukrainian people", and blandishing those in favor with the prospects of a promising new career. The hope of the supporters of this plan is to slowly approach metropolitan Onufrij (Berezovsky), the head of the pro-Moscow church, who probably would not immediately join the new jurisdiction, but could in the future. With the eventual adhesion of Onufrij, the composition of the autocephalous Church would reach full authority.